I have always said that FLiQ Media will have that special place in my life. Maybe to the detriment of the current FTWs there because I keep sticking my nose in their work and giving my unsolicited opinions. But because we were there from the beginning, and have done so much with the different iterations of the team, it will always be special. I had two blog posts about the different teams that have gone through FLiQ – here and here. And since 2016, Mae has moved to Live Life as a full time worker. Bonn has moved to Lucena to focus on his family business. Tim is doing freelance work now. 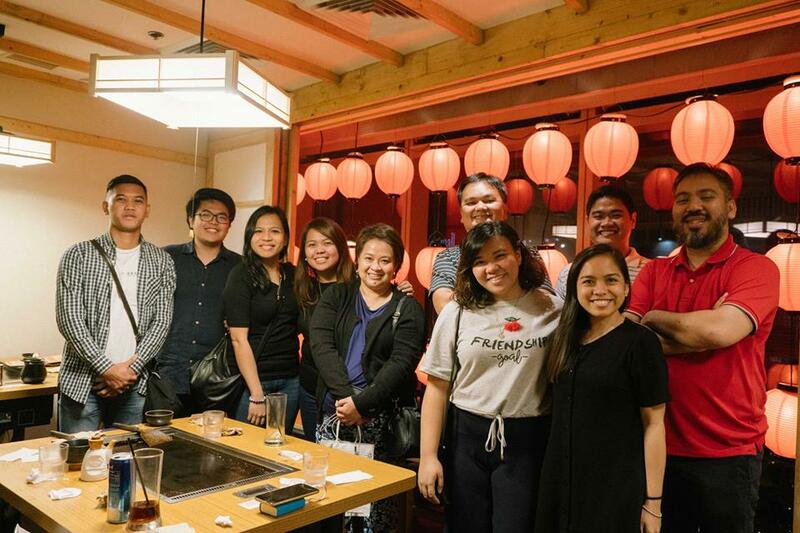 Joy Eguia has taken the lead of FLiQ Media, and the team is still with Ayana and Nikko, but with three new missionaries joining in: Andy Gruet, Mich Nazareta and Koko Borjal. They have such exciting plans, they still do amazing work, and there is still a lot to be done – groundbreaking, innovative and life-changing projects lined up. This team is set to really make an impact. As with the other teams as well. Looking at the past Christmas dinners, it makes you feel nostalgic. Here’s to many more years of creative, inspiring and transformative evangelization! Previous One Year without Starbucks!